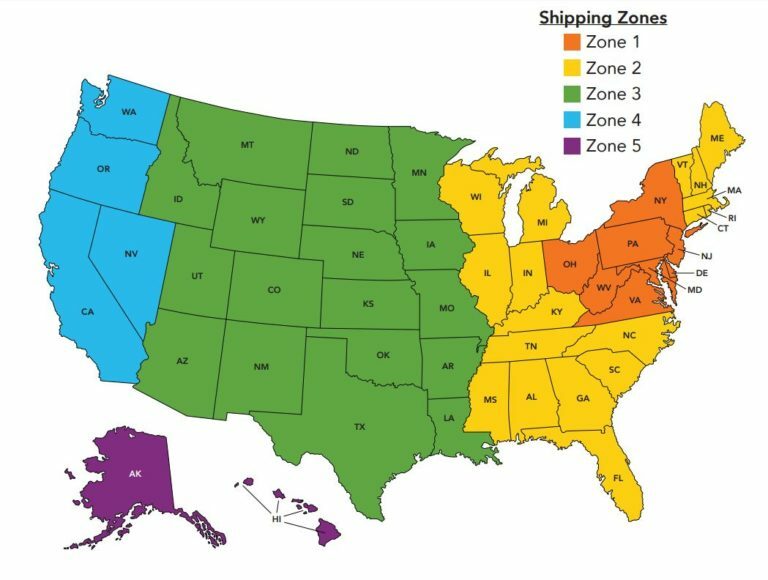 Zone 1 (PA, and states that touch PA) ship flat-rate at $8.99 or Free Shipping at minimum $75.00 order. Free In-Store pick-up is available at all of our stores. Order online and we’ll notify you when it’s ready for pick-up. With that notification you’ll also receive a phone number to call the store and we’ll bring it to your car if that’s most convenient for you. Customer Service Baby! And no matter which option you choose, have it professionally gift wrapped free! We try hard to prepare your order on the day it’s ordered and ship within 48 hours. We will contact you to verify the order prior to shipment in an effort to reduce the possibility of any fraud. That helps both you and us! You will receive email notification of our shipment and order readiness. Thanks for keeping it local! *Some items are too large for standard shipping and will appear as In-Store pick-up only. If you are not 100% satisfied with your purchase, simply send it back within 30 days and we’ll refund the full cost of the item minus shipping costs. Any returns must be in resalable condition. Please call the store at 724.933.0060 for a return authorization number. You can also make returns at the stores!